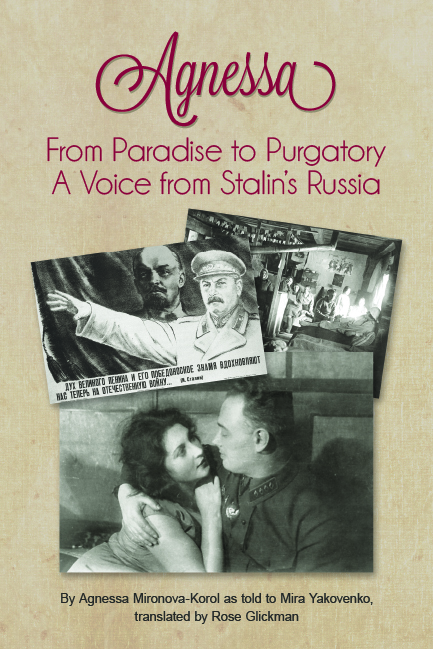 There are many fine works that offer harrowing accounts of the fate of Stalin's innocent victims. This book is different. Agnessa was the beautiful, strong-willed, frivolous, and loving wife of a regional boss of Stalin's secret police who shut her eyes to the murderous activities of her husband. She offers a unique account of what it was like to be the wife of a high-ranking member of the Soviet elite, enjoying fine food, high fashion, "ladies-in-waiting," and lavish holidays at a time when millions were starving or being worked to death. Her gripping story provides insight into the thuggish world of cronyism, backstabbing, and intrigue that typified the Stalinist elite, a world in which the guilty feared they would meet the same sticky end as that to which they had condemned millions of innocent people. Agnessa's life would be marked by tragedy, and she would rise to its challenges. But it is her partial complicity in the world of which she is a part, the fact that she is a very flawed heroine, that makes her account so compelling.